Maintaining a hygienic environment at commercial establishments like hospitals, educational institutes, restaurants, hotels, shopping malls & others is extremely important for the health of many – customers & staff alike. Offering pure and clean drinking water devoid of all micro-organisms and chemicals is an important & a basic amenity that needs to be provided at all these facilities. Thus, if you want to run a successful business enterprise then this is one factor that you can’t overlook. 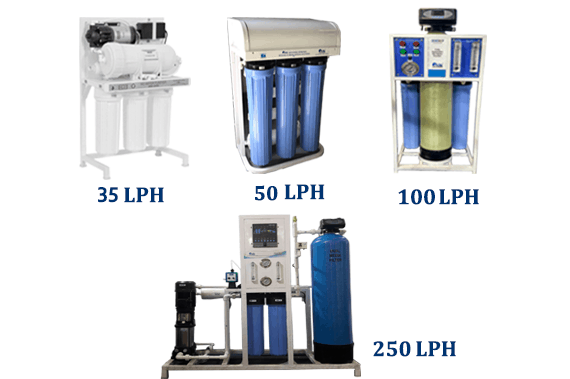 Moreover, when one looks at the benefits of commercial RO water purifiers that can be availed by commercial establishments it makes all the more sense to invest in it. Additionally, commercial RO water systems are the best technology to use when the TDS level is greater than 500 ppm as it helps to improve the taste of water by removing dissolved impurities, thus protecting individuals from serious health issues. Purchasing water purifiers for commercial purposes seems to be more of a norm nowadays rather than an exception. As such, to ensure the optimal health and to make pure drinking water that is clean & taste better available to all – general public and employees one needs to seriously consider installing a commercial UV and RO water purifier in their establishment. An establishment that takes active measures to provide easy access to safe and pure drinking water is known to enhance customer’s experience as well as is able to build trust for its brand. Hence, if you run a commercial business then installing a commercial water filtration system is extremely imperative. A commercial water purifier will ensure that there is no bacteria, dangerous chemicals, corrosive salts or metals in the water. In addition, commercial water filters will also help tackle hard water problems and assist in improving the taste of the water. With the rise in the awareness of how high TDS level in water can invariably affect the health of many, more industries today such as the food service industry and others are taking active steps to reduce the unnecessary risk that contaminated water can have on an individual’s health by purchasing commercial RO water purifiers for their establishments. Thus, as one of the full-proof methods for providing clean, healthy and pure drinking water on a large scale, if you have yet not purchased a commercial RO water system for your commercial establishment then it is high time that you do so before it inadvertently affects your brand’s credibility. Commercial water purification systems designed by Alfaa UV are easy to install and require minimum maintenance services. 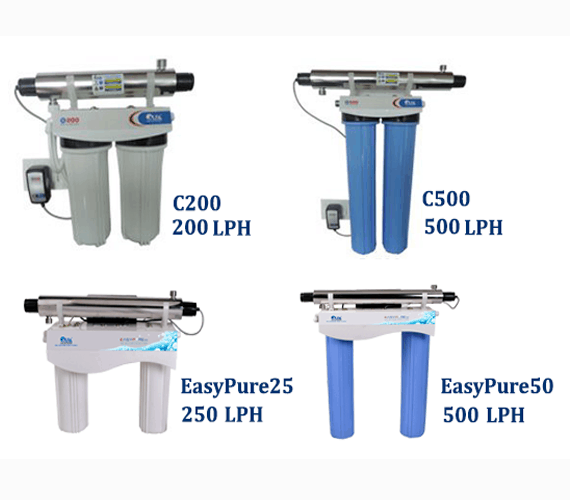 These water purifiers offer high performance & are built to provide a healthy & safe environment to all. Alfaa UV is known through the spectrum for its high-quality products and timely service response and has installed commercial water purifiers and UV disinfection systems for businesses across PAN India in over 500 locations. Apart from water purifiers for commercial purposes, Alfaa UV also offers the best water purifier for homes as well as industrial UV water disinfection systems. Thus, if you are keen on purchasing a water purifier for commercial use then contact us now and we’d be happy to help you. 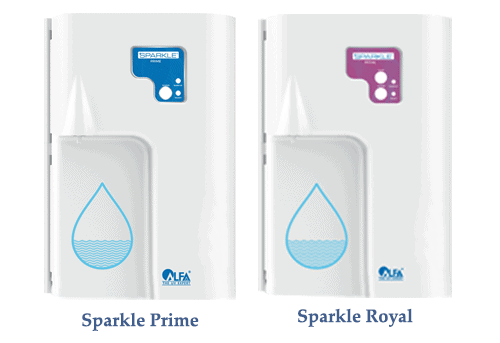 Voted India’s best 5 stage UV water purifier, Sparkle becomes an elegant amenity in every home. Ideally designed for use with water coolers and dispensers. 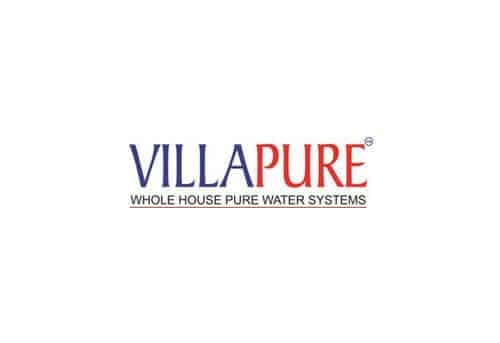 Fully automatic, premium water purifications systems for a fully pure home. The two stage Alfaa Water Purification system has been installed in each of our 25 buildings and provides bothe filteration and UV steriliztion to the water. The water also been physically and microbially checked as per the IS standards and found to be conforming to them. The UV system is working well since installation and the results are satisfactory also their services are satisfactory. We are pleased to confirm that we are satisfied with the performance of the Alfaa UV and the after sales service. We have been using Alfaa Water Purifiersat our sites since last 4 years. So far we have not received any complaints from our customers. W have installed Alfaa Water Purification Systems at all the 1273 residential flats of our prestigious LAKE TOWN project in Bibwewadi, Pune. We are happy with the product performance and the after sales services, which is satisfactory. 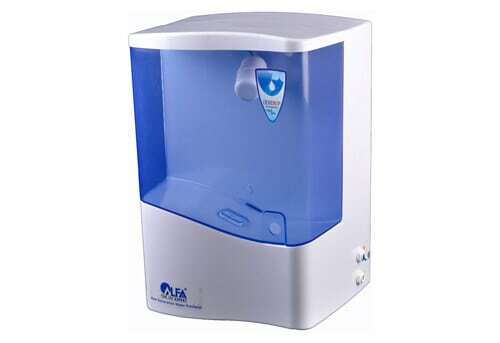 Alfaa Water purifiers at our bank's residential premises at Mumbai are working satisfactorily. Today, water purification is an essential part of residential projects where buyers demand quality construction and standard products & services as amenities. 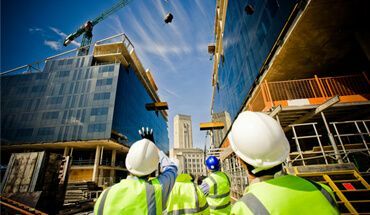 While builders & developers want to offer the best, escalating project costs need attention. 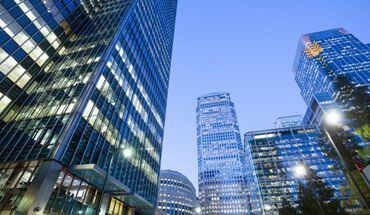 Alfaa UV understands this perspective and offers water purification solutions that appeal to both buyer and developer. Water Purifiers as a standard amenity fitted in every kitchen, offer pure drinking water at the point of use. Alfaa’s Sparkle and Dewdrop RO are favorite models to choose from. Where TDS (total dissolved solids) levels in water are low and the source of water is primarily treated municipal water, Sparkle and Dewdrop RO are suitable for disinfection. Where water is from underground sources, supplied by tankers and high in TDS, Dewdrop RO is useful and often necessary. 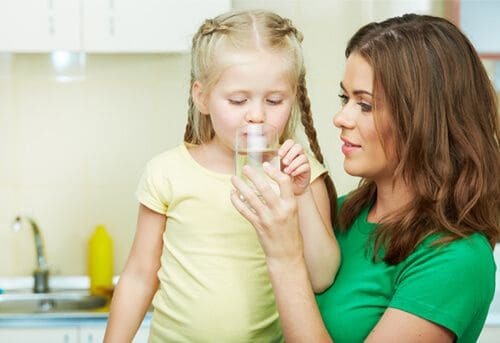 To supply purified water in all taps, making it a fully pure home, or to keeps costs low while offering purified water in the kitchen faucet alone, Alfaa’s Centralized Purification systems are the ideal choice. Skid mounted, easy to install and maintain, with a plug in, plug out design this solution is an easy and affordable option. With water shortages on the rise, and the cost of fresh water escalating , builders must look at options to treat wastewater. 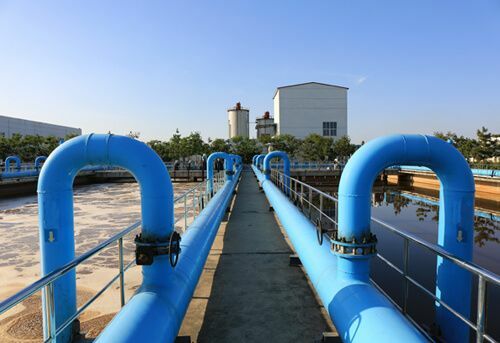 Sewage Treatment plants have become mandatory, and wastewater treated by the STP is then disinfected with chlorine to reuse for flushing and gardening. Alfaa UV offers the WWR Series to the Developer community to eliminate or minimize the use of chlorine, making disinfection easy, safe, chemical free and more cost effective as compared to chlorine. 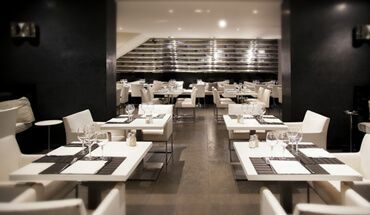 Hotels and food retail chains are places where customers experience hospitality services along with the food. Hotels and restaurants try their best to provide the best customer experience. Food and beverages are main reasons why customers visit the outlet regularly. It is very important for food retail chains to maintain proper hygiene along with providing the best tasting food and beverage each time, to maintain loyalty and regularity amongst its customers. Quality and taste of water served at the food retail outlet, and water used in the preparation of foods/beverages plays very import role in enhancing customer experience. Every hotelier tries to provide clean and healthy water to its customers. Besides water safety, they need to maintain a standard taste across water coolers, cold-drink fountains, & tea-coffee vending machines. Hard water can be a big issue at some of these outlets. Hard water contains a significant quantity of dissolved minerals, such as calcium and magnesium. In general, hard water is difficult to consume because of its taste which stems from dissolved minerals and other impurities. In cases of high concentrations of minerals and dissolved impurities, Alfaa’s RO and water softener units help to reduce total dissolved solvents(TDS), and enhance the taste of water. Alfaa’s UV + RO purification systems are extensively used in food and retail chains in their various formats, besides warehouses and offices, to address the huge cost of bottled water. 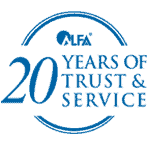 Today, Alfaa has become the preferred vendor with leading national and international food/retail brands due to its commitment to purity, understanding of water conditions, and timely service response. Hospitals and educational institutes are places where a large number of people visit regularly. Chances of cross contamination are also high at these places, especially in hospitals where infections are high. Developing and maintaining a hygienic environment is very important for the health of many. 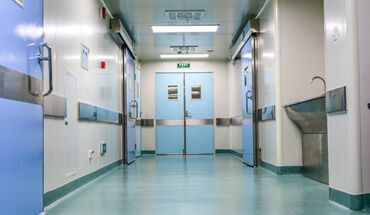 Hospital acquired infections (HAI) can be a significant cost for the healthcare industry and is considered a preventable injury. High chances of infection in hospitals and educational institutes are through air, water and surface contamination. Alfaa UV’s UltraHVAC Air Disinfection Systems help prevent airborne contamination and HVAC surface contamination. Based on the water quality, Alfaa’s UV water purification systems destroy microorganisms from water to prevent water borne diseases such as Typhoid, Gastro and Hepatitis. In cases where the dissolved impurities are high, Alfaa’s RO water purification systems eliminate chemicals, and dissolved impurities in water. Most pools and spas depend on chemicals to sanitize them. 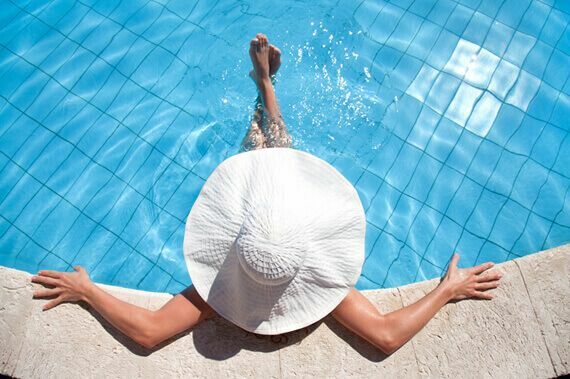 Traditionally, chlorine has been in use for more than 40 years to create “safe pools”. However, it is increasingly being known that during typical chemical disinfection, chlorine and other chemicals react with organic matter to form hundreds of new chemicals- disinfection byproducts such as chloramines, that have been linked to redness and burning of eyes, skin irritation, asthma, allergies and even cancer. New studies show that your swimming pool may turn out to be dangerous water. Some have even compared the risks of pool chemicals to those of second hand smoke. Ultraviolet or UV is being recognized as a safer, more cost effective and environmentally friendly alternative to traditional chlorination and has become the preferred choice for swimming pool treatment worldwide. Internationally, the pool industry is moving to UV. 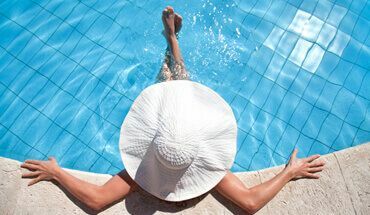 With regard to pool sanitation, the World Health Organization (WHO) states that “Lower free chlorine concentrations may be health protective when UV is used”. Shopping malls and retail chains are popular places to shop and browse. A mall’s success is pretty much dependant on the customers’ shopping experience along with the variety of products available in the mall. 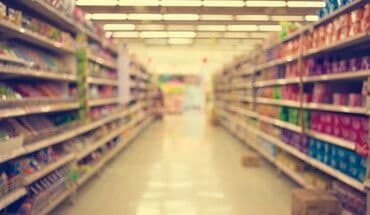 As similar products are available at most retail chains at standardized prices, it is crucial to give the best shopping experience to the customer. Considering the rule ‘customer is king’, many retailers try to provide good facilities to the customers. Proper facility management, hygienic food courts, well maintained and clean restrooms, and a good HVAC system are some ways that one mall can distinguish itself from another. In crowded malls, poor air ventilation or Sick Building Syndrome (SBS) can affect the shopping experience, leaving the shopper with an unexplained headache. In such situations, Alfaa’s UltraHVAC Air UV Disinfection Systems provide sterilized air to create a comfortable and safe environment for shoppers. Providing pure and healthy drinking water is a way to enhance customer experience in malls and saves the customer from buying expensive bottled water. Depending on the water quality , Alfaa provides solutions by offering UV, RO and / or water softening technology as required. The result: pure and safe drinking water to thousands of happy shoppers. India is growing at rapid speed, which is creating numerous job opportunities. 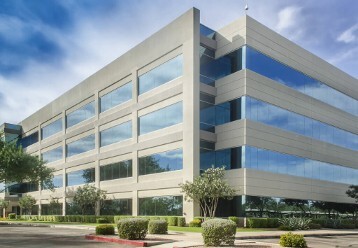 Corporate parks, commercial complexes and IT parks are growing every year. Millions of people are working here day and night. Providing proper water solutions is a major concern while planning and building these facilities. Imagine the amount of drinking water which is needed for employees working day and night in these corporate parks. For their health and better concentration, pure drinking water is needed. Alfaa’s RO and UV series provide the much needed pure drinking water. Alfaa is an expert in providing centralized water purification systems as well as point of use purification systems. Alfaa’s point–of–use water purification systems are also used with water coolers, water fountains, tea-coffee vending machines, for food preparation and food washing. In big commercial complexes water is also essential for maintaining the facilities. 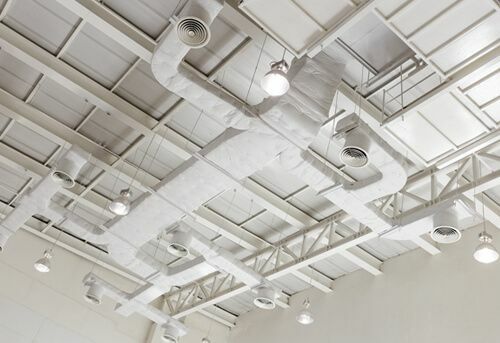 Centralized air conditioning systems used in these facilities require huge amounts of water to keep its cooling coils working. This water needs to be processed and reused. Such water can be reused after filtration and UV disinfection. Alfaa UV provides a range of systems to process and reuse this water. Maintaining a hygienic environment is another important factor for the health of employees. Massive amounts of water is needed to keep the facilities clean. Water is needed for housekeeping, washing utensils and cleaning floors. Hardness of water can become a major challenge for these tasks. Alfaa’s RO and Softener series help to remove hardness and TDS of water, making cleaning easier. Another area is the green space around the complex. Water requirements for landscaped gardens and lawns is huge. Alfaa’s waste water series (WWR Series) can be effectively used with sewage treatment plants to disinfect waste water and recycle and reuse for gardening.